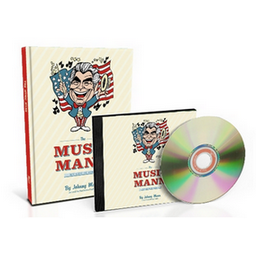 Order "The Music Mann: My Life in Song"
Johnny Mann presents his memoir about his storied career in Hollywood in the golden age of choral conducting as told to journalist and author Kathryn Smith. John appeared at the White House, won two Grammy Awards, worked with a who’s who in entertainment and was even the voice of a certain famous chipmunk. This paperback book is packed with color and black and white photographs! 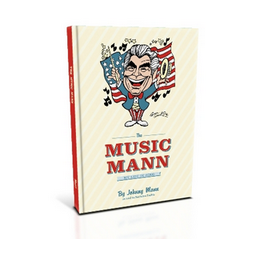 Listen to Johnny Mann add life and color as he reads his book, "The Music Mann: My Life in Song". Johnny also introduces several included musical numbers. *Note that this is not an audio CD. This is a data CD containing MP3 files that can be played on your favorite MP3 player. This CD will not play in a standard audio CD player. 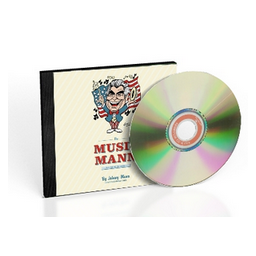 Purchase both the Paperback Book and the Audiobook MP3 CD* together for a reduced price! If you do not wish to order via PayPal, please click here and download an order form that you can mail with your payment.